Thank you for visiting The Parish Church of St Mary the Virgin, Willingdon website, and welcome to St Mary's. 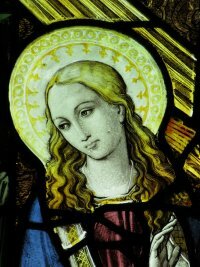 We hope you enjoy exploring this website to learn about the life, worship and witness of St Mary's church. We are an Anglican church, worshipping God and serving the communities of Willingdon and Willingdon Trees to the north of Eastbourne. St Mary's is the ancient parish church of the village of Willingdon, dating from 1100. Whether you are looking for a church to make your spiritual home, or seeking a baptism, a wedding, a funeral or just visiting this beautiful church, be assured of a warm welcome. Please follow the links to find out more about St Mary’s Church. We proclaim God, and seek to make known the love of Jesus, His Son, who gave himself for each one of us. In all we do, we pray too for the guidance of the Holy Spirit. Our Church family is open to all. As a sign of God’s overwhelming desire to share that love revealed through Jesus Christ.